What we're doing for young people. Recreational Fellowships Take your pick ! Photo Galleries local Activities International Activities How we're raising funds What we're doing for young people. Rotary Membership Social and Fellowship Club Awards Recreational Fellowships Take your pick ! Held at Heaton Mersey Community Centre on St Johns Road. Just a few of the many photos are shown below. 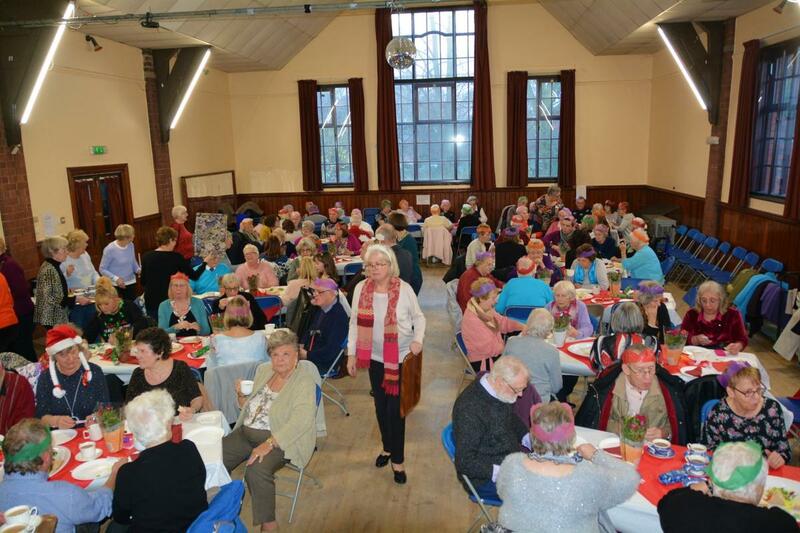 Every year the club organises a party for around 100 senior citizens. We provide transport , food and seasonal entertainment . many thanks to Tricia and her team of helpers in making this years event another great success and to David Scott for the photos.